The 12-Seater Minibus Hire Reading is an upgrade to our 8-seater minibus. These minibuses offer all the advantages of small vehicles, with extra space. It is perfectly suited for small groups, large families, and others, who wish to make shopping trips, visit the race course, attend an event, make airport transfers, and for other purposes. Event managers and tour organisers also avail these vehicles to transport guests to wedding and birthday parties, for sightseeing trips, for stag and hen nights, and a host o other purposes. Our 12-Seater Minibus Hire Reading offers ample space for luggage. There is a provision for attaching a trolley, to cart bulky goods such as musical instruments for concerts. The seat configuration is flexible, and a row of seats may be removed to accommodate a wheelchair. Guests who have travelled in our 12-seater minibus have always been impressed by the vehicle. Comfortable seats, the latest music systems, powerful air-conditioning, anti-slip mats, and reading lamps are just some of the features on offer. The 12-seater minibus offers maximum flexibility. The small size of these vehicles means it can enter most streets and is capable of delivering door-to-door service. These vehicles can also take diversions easily, to escape from traffic grid-locks. 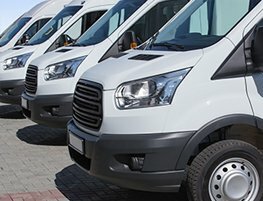 The drivers who come with the minibus hire have years of experience driving similar vehicles, and are aware of all the features available inside the vehicles.